The first time I wrote a profile of Ann Rule was in 2010. Sadly, this friend and amazing crime writer passed away in 2015, at the age of 83. Here, I will simply declare Ann a posthumous Maslow Award winner, write a current intro, and post the 2010 profile raw and uncut below. In the near future, I plan on sitting down with her wonderful daughter Leslie, and write about mutual anecdotes and behind-the-scenes stories about her mom. I had the pleasure of working closely with Ann in 2003, when I contributed to a manuscript she was writing. A dear friend of mine had disappeared years earlier, and Ann had reached out, asking if I could shed personal light on my friend's life. The 2005 book, Worth More Dead, became a New York Times Best Seller – as were the other thirty-two books she authored. And this astonishing number, thirty-three best sellers, places Ann Rule at the very top of her genre, and the very top of my Maslow Award list. In 1980, she published the now-econic Stranger Beside Me, and introduced a fellow named Ted Bundy to a mortified (and clearly fascinated) public. Rule quickly rocketed to the top of the true crime genre. 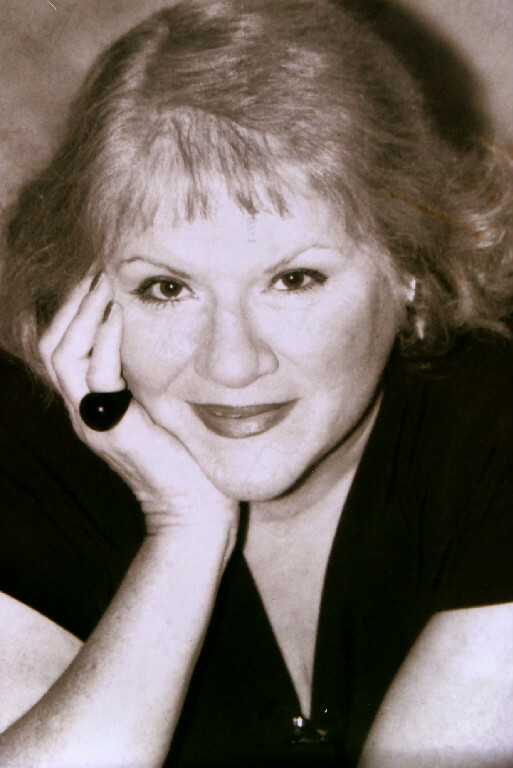 Ann Rule has remained a household name since. (Since 1969, her career involved writing stories in detective magazines, under male pen names, Chris Hansen, Arthur Stone, and Andy Stack. Being practical and acknowledging the industry sexism of the era, when she created the pen name Andy Stack, it was a wink to her first name, and her maiden name, Stackhouse). To me, Ann was a true game-changer – a shining Maslow example – in that she unofficially launched true crime into the entertainment mainstream, after decades of being hidden in pulp rags, or relegated to the back alley of serious literature. Rule was able to leverage modern media and technology to market her brand and product worldwide, and to honor the victims of crime. Anyone who knows Ann, knows she was a throwback to the days of pounding the pavement and promoting one's message. She did endless television, radio, and book signings. No laziness was permitted in an Ann Rule world. She was a single mom before it was cool. She served in Seattle law enforcement long before the industry's acceptance of women. And as mentioned, she led an evolution of her genre, to both include female authors, and to mainstream the true crime genre. Since working with her on her book, and appearing with her on a Seattle television talk show in 2005, I still can't believe the magnetism Ann Rule has with her fans and colleagues. Everyone loves her. But it is her truly unique heart-of-gold that always shined through to me, and does to this day. I have personally witnessed Ann Rule's love of life – love for her family; love for the victims and families in her books; and love for her four-legged soul mates walking the earth, especially cats and dogs. I feel so blessed to have Ann Rule as a friend. And it’s not the celebrity thing – it is the person she is. The robust life she has lived – and continues to live every day. Forget assembly-line best-selling books and decades of international fame here. Forget the array of made-for-TV Ann Rule movies. Once you have experienced Ann Rule’s humanity, all those other details become, oh, details. On the professional front, and quite apart from our friendship, I believe Ann Rule to be the foremost crime writer in the world today, and it’s not even close. Nothing against other writers, and there are good ones, but whenever I consider who the best in any field, I test my theory by simply using a template sentence and then filling in the blank. In this case, my sentence would be “There are great true crime writers out there, but there is only one ANN RULE.” Another example would be, “There are great hockey players out there, but there is only one WAYNE GRETZKY. “ You get the drift. If there is any hesitation filling in the blank, or the name somehow appears out of place, then you have not identified the best. You can test this formula by using another template sentence and interchanging the names. For example, “Ann Rule is the Wayne Gretzky of true crime.” Or, “Wayne Gretzky is the Ann Rule of hockey.” It’s that simple. So, at last count Ann Rule has published close to 30 books, all but one being NY Times bestsellers. In terms of sheer volume, Rule is at the top of all lists. Regardless of American Idolesque judging opinions of a writing genre here, in terms of quality, content, and most importantly brand marketability and reader appeal, I believe nobody is in her class. It was difficult not to chuckle too loud on the set. I said, “Ann, if you ever want me to travel the country and appear with you, you just let me know!” (Frankly, I think I might slow her down -- Ann Rule is high octane in print). I will remind her of this discussion someday though – what a blast being on the road promoting Ann Rule! But I digress. In wrapping up a tribute to a friend, a writer must never forget the friend’s family. In this case, Ann Rule has raised a family to be proud of. I have had the pleasure of knowing Leslie Rule, her eldest daughter. Leslie, a friend as well, is a brilliant and thoroughly entertaining paranormal writer. The unsung thing about Leslie Rule is her incredible talent as a photographer. In both the written word, and photographic works, I am president of the Leslie Rule fan club, so to speak. Earlier this year, Ann Rule was admitted to hospital and stayed for over two weeks, nursing a staph infection in the spinal region. She has been recovering steadily, and is currently undergoing physiotherapy to get back to normal life as quickly as possible. Times like these cause me to reflect. Although there will be many books undoubtedly forthcoming, if Ann Rule retired today and wrote not one more word, she will have already contributed exponentially to the written word of the world’s true crime library. And this not even considering her instigating and leading the true crime genre explosion in recent decades – a genre oft-regarded in past eras as sleazy pulp, or worse. Such is the prominence of this author. And such will remain our whodunit nature as once again we await the next Ann Rule book. What a crime it would be for us to lose her anytime in the next 20 or 30 years or so! Ann Rule: Serial author. Cereal mom. Surreal talent.